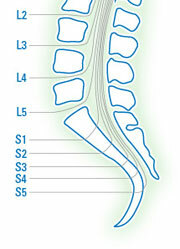 Click Here — Learn more about strengthening and watch thousands of SCI videos on SPINALpedia! 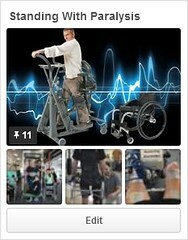 New technological advances in equipment have truly revolutionized physical therapy as we know it. Specific pieces of equipment are necessary to provide a healthy mind and body. In order to use any of these pieces of equipment one truly needs to be trained by a licensed physical or occupational therapist that will help to develop a specific program based upon an individual’s goals and the doctors and physical therapists goals. 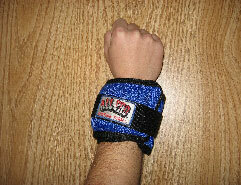 All-pro adjustable ankle and wrist weights attach with Velcro. I recommend these for people who can not yet grasp with their hands. 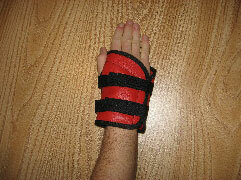 Functional hand weights allow for wrist support while also exercising. 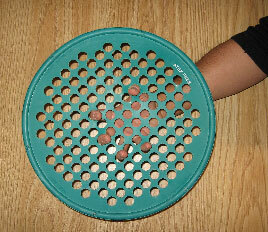 A hand exercise web can be used to strengthen your finger and hand muscles. I don’t have voluntary hand movement, but with electrical stimulation to my forearm and hand I can use the web to exercise the muscles with resistance. A handmaster exercise ball has the same benefits as the hand web, but it gives you something to grasp and attaches to your fingers. Standard hexagon dumbbells (one to 20 pounds) are for paraplegics who can grasp the weights. They are free weights that can be used for many different types of exercises. 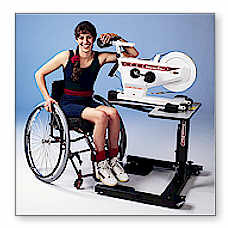 I recommend using a manual crank mat, the PerformaTM Adjustable Mat Platform. It will save you about two to three thousand dollars and it’s just as easy to use. If you are set on a power mat, I recommend the PerformaTM Power Mat Platforms. Rolls and wedges are essential for mat work. They can be used to position you for optimal exercise. I use an arm and leg combo skateboard when on the mat. I use it with a powder board and it allows me to slide my arm easily. The skateboard is perfect when trying to strengthen weakened muscles. Add additional waits on top of your arm and wrist to provide resistance. Another way to provide resistance is to position yourself next to a surface that is on an incline so you can work against gravity on wheels. Functional Electrical Stimulation (FES) Bicycle/Arm Cycle Restorative Therapy, Inc. focuses on developing rehab equipment for the home that will help to regenerate damaged nerve cells through patterned neural activity below one’s level of injury. 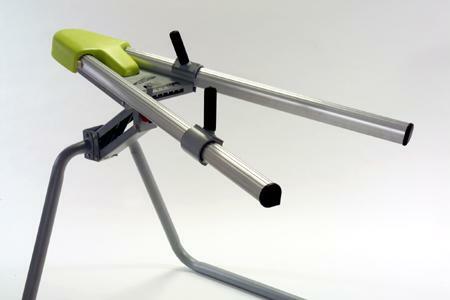 RT-300 – RTI makes a Functional Electro Stimulation bicycle. 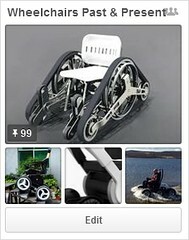 I recommend this for anyone with a spinal cord injury or nerve damage.The thing that I like the most about this product is that you can wheel up to it in your wheelchair (power wheelchair or manual wheelchair).They have great customer service. When I got the FES bike, RTI reps came out to the house, set it up and trained me and my caregiver how to use it.This is my favorite piece of equipment in my house. It gives me a cardiovascular workout, reduces my spasticity, increases my blood flow, and increases my muscle mass.Through the Restorative Therapy Program at the Kennedy Krieger Institute in Baltimore, Maryland, I have been able to transition to an incomplete and contract muscles throughout my entire body.They also have a motorized arm cycle, which can be added to the RT 300. The arm cycle is unique because it provides motor support forward and backwards. It also can be programmed on the touchscreen with resistance for both forward and backwards. You can change resistance settings according to your needs. The arm cycle has helped me to strengthen my upper extremities. Two months post-injury, for the first time I was able to push myself around the house in a manual wheelchair. The Saratoga Cycle is a one directional resistance arm cycle. I’d tried this product at Kennedy Krieger when they were demoing it. 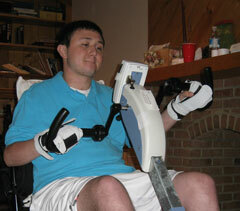 At the time, I had very little movement in my left arm and was not able to fully experience the machine. But from watching others use the device it looks like a pretty effective upper body exercise device. 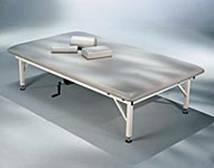 Exercise and Work Tables: There are specific tables that can be used for every day needs and exercise. 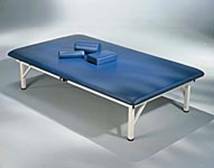 These tables and exercise tables are height adjustable and have a specific cutout so you can wheel your wheelchair up to them. They can also be angled for ease of reading.As an athlete, I understand how important it is to watch yourself work out in a mirror to make sure that your form is good and that you are performing the exercise properly. 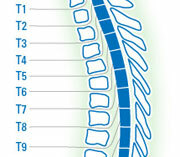 Biofeedback is also essential to retraining the spinal cord. This mirror is on wheels and has a pegboard on the back to hold weights or other exercise supplies. It’s a space saver.